This Labor Day weekend, Daisy’s Papa and I enjoyed kicking back and relaxing with new frozen wine cocktails from Arbor Mist. 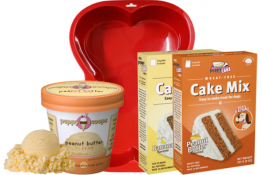 A big THANKS to SheSpeaks for sending them for us to try in time for the holiday! I always enjoy frozen cocktails, but sometimes making them can be a hassle and leave a mess to clean up. I’ve even burned out a blender when a good friend came to visit and we got a bit carried away and wore out the poor machine! 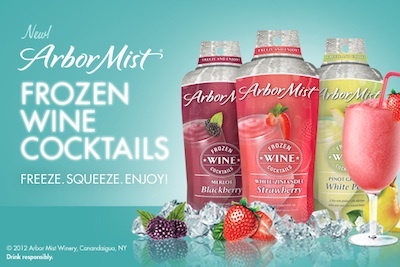 What makes these different is that the Arbor Mist Frozen Wine Cocktails require no mixing of ingredients, ice or blenders. 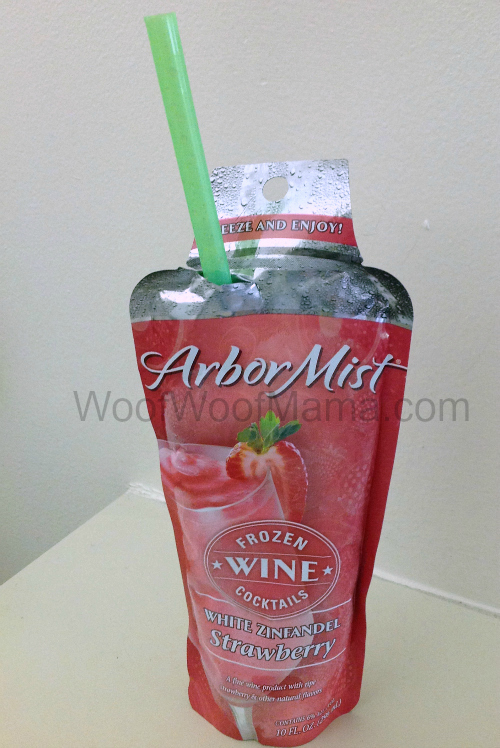 You just place the liquid pouch in the freezer for five hours, gently massage, tear open the top, squeeze to pour into a glass and enjoy a smooth frozen wine cocktail! Very refreshing, especially since it’s been really hot down here this weekend, as usual! 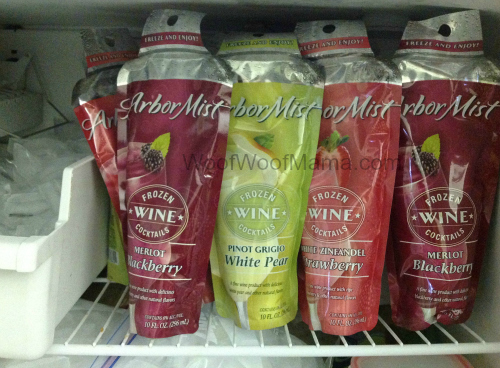 We received all three flavors to try: Blackberry Merlot, Strawberry White Zinfandel and White Pear Pinot Grigio. My own personal favorite was the white pear, while hubby liked the strawberry best. They are a bit sweet and too high in calories for regular consumption, but they sure were tasty, fun and perfect for the holiday weekend! I think they would also work well for picnics, taking to the beach or for a concert or festival since you can throw the frozen pouches in the cooler and then just enjoy them with a straw when they’ve melted to be a bit more slushy! Disclosure: I was not compensated for this post. 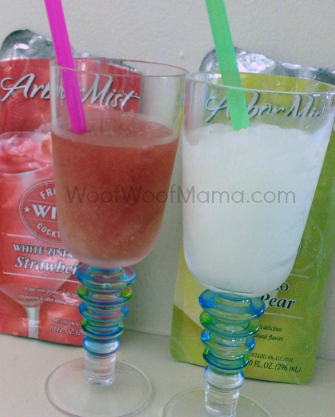 I was provided with samples of Arbor Mist Frozen Cocktails courtesy of SheSpeaks, so that I could try them and tell you what I think. All opinions are 100% my own! Remember to always drink responsibly and never drink and drive! 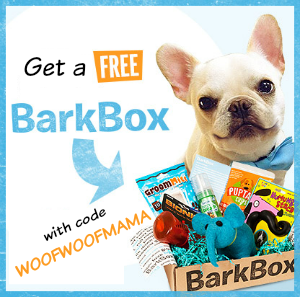 $50 Off BowHouse Plus Fast Free Shipping from DenHaus Modern Pet Furniture! 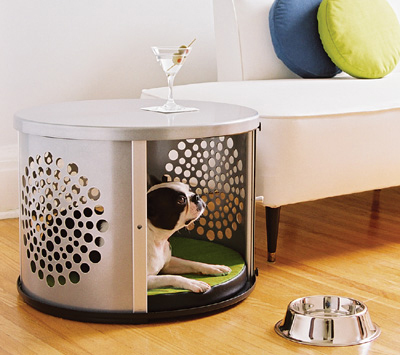 You may have seen photos on Pinterest or on other pet blogs and dreamed of getting one of these ultra cool pieces from DenHaus…I know I have!!! 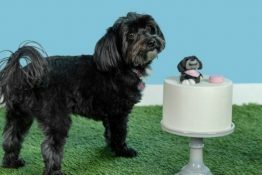 Right now, they are taking $50 Off the BowHaus – Meant for the home where cocktails and canines mix it up, the Bowhaus does double duty as an elegant modern end table. 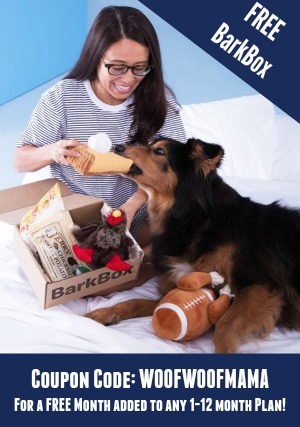 At DenHaus you also get Fast Free Shipping and Hassle-Free Returns so drop by and browse more of their amazing, swanky dog furniture designs here!